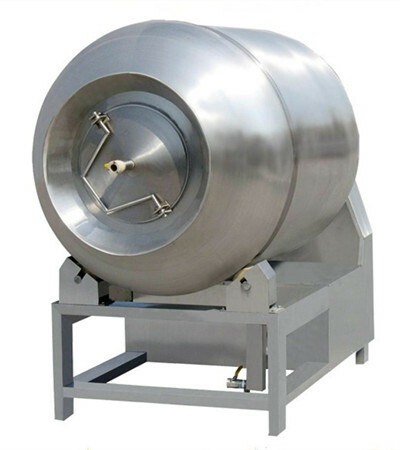 Vacuum meat tumbler is designed for processing pickled meat such as beef, chicken, pork, and seafood products. 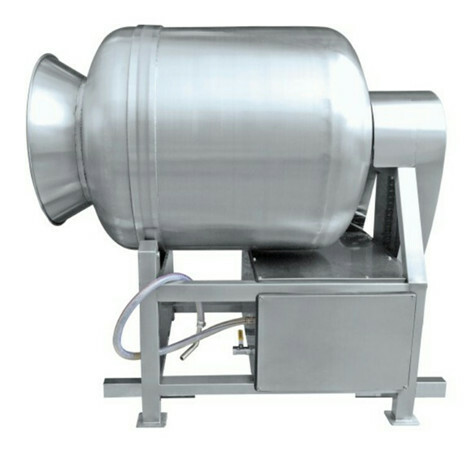 The vacuum tumbler is composed of a rotating drum with steel paddles inside, which slowly moves the meat pieces thus causing a mechanical massaging effect. The tumbling motion flips seasoning water continuously onto meat products, producing moist, flavorful and good taste products. 1. 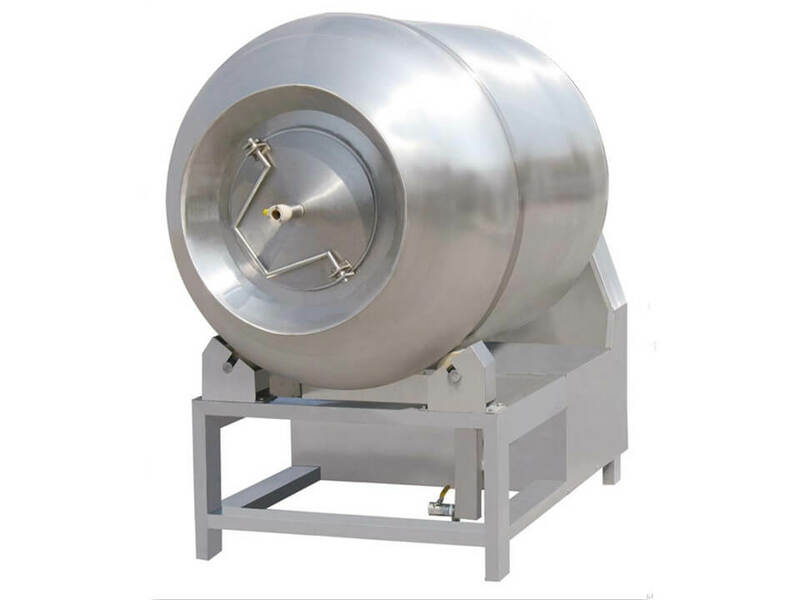 First-class stainless steel material, easy to clean. 2. Advanced design, computer-controlling system. 3. 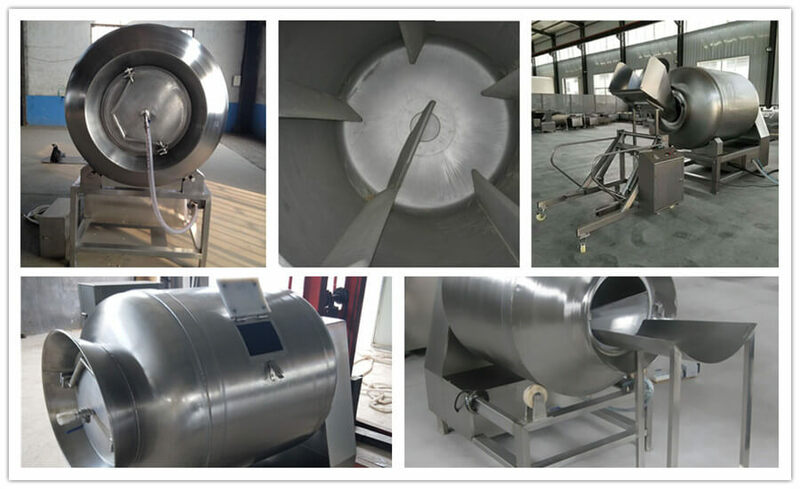 Variable tumbling speed,stable operation. 4. 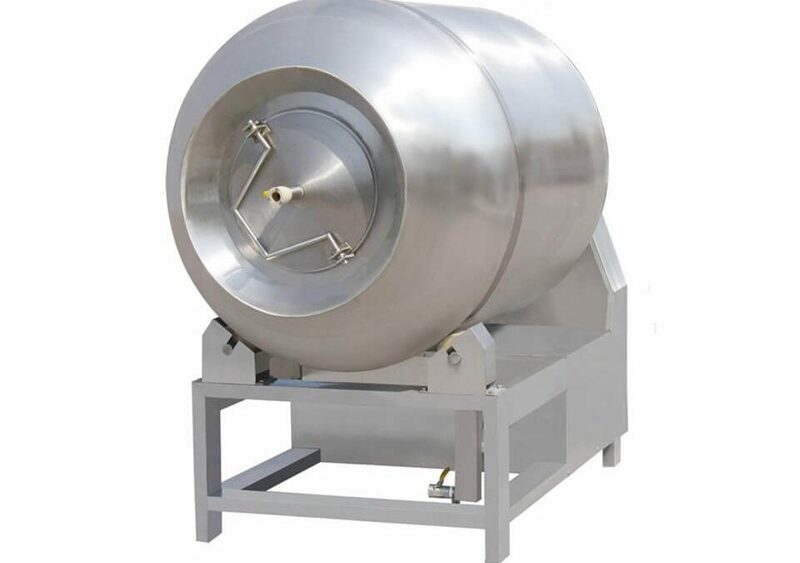 Hygienic and tasty products. 3. The meat is tender and fresh.